After browsing your excel file, choose the excel sheet from dropdown. If your sheet contains header, check “My Excel contains header” option. Select columns according your need. Above screen displays selected excel sheet along with data view. 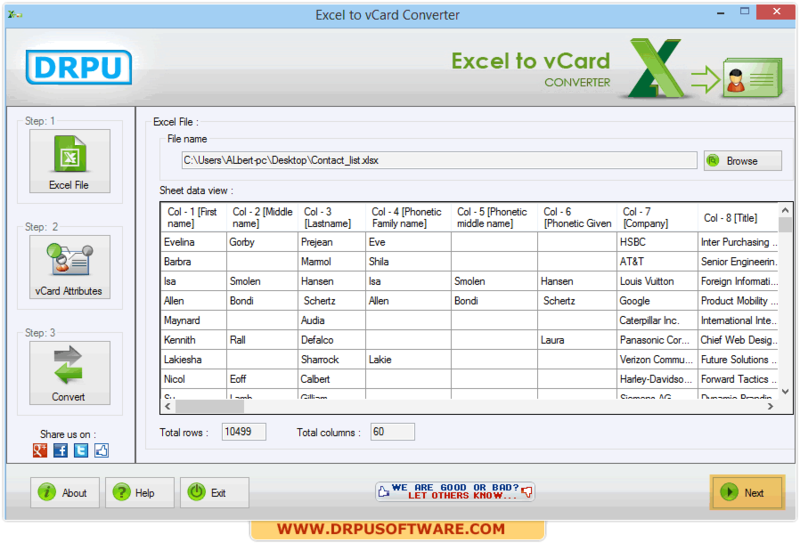 Click Next to open vCard Attributes or go to vCard Attributes from left panel. Select attributes as per requirement like Name and Title, Contact Image, Phone Number and etc. Click next to proceed. 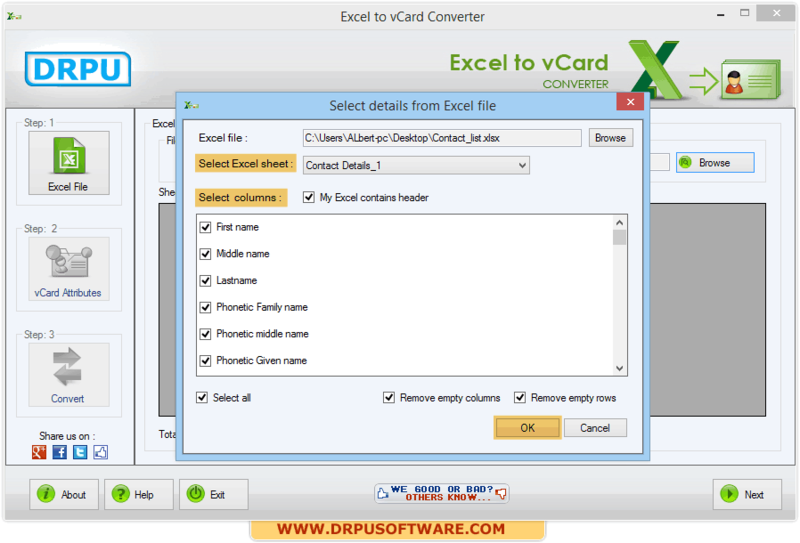 Select the version of vCard, number of vCards, how output is saved and click on convert button to start conversion process.